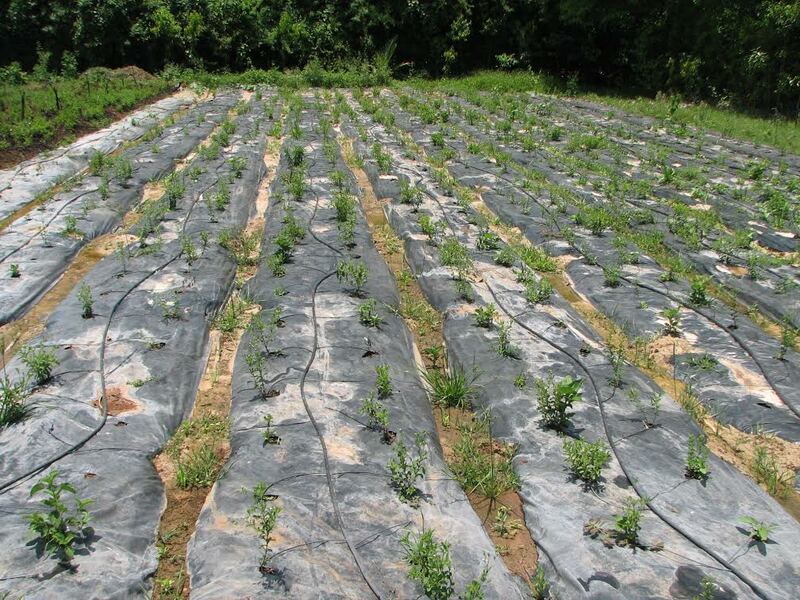 The use of mulching sheets is a technique of organic agriculture that tries to imitate natural forests’ processes. This agricultural process follows no-dig gardening or non-cultivation method. This technique is used to produce healthy and prolific ecosystems that require low maintenance. The selected area is flattened through trimming or chopping down of existing vegetation. The soil is examined and if required, its pH (measure of acidity or basicity) or mineral amendments is adjusted. The soil is soaked in water to assist the natural process of decomposition. The soil is covered by an organic weed barrier (a thin layer of slow decomposing material). This is done to restrain the weeds by blocking out sunlight. As weeds decay quickly under the barrier, they become nutrients for the soil and enhance the stability of the growing medium. A layer of around 10 cm thick, rich in nutrients and weed-free soil is added on top of the weed barrier to create a soil horizon. A layer of around 15 cm thick woody, weed-free and leafy matter is added to imitate the forest floor. The soil is now all set to receive plant seeds. Why Organic Farming is the Need of the Hour? Organic farming is man’s gift to a world that is burning with global warming and chocking with pollution. The goal of agriculture is to feed the world. And in our urge to feed the growing and hungry population, we have chosen the wrong path, the path of fertilizers and chemicals. Did you know the traditional modes of agriculture still make use of pesticides which are banned. Studies show that there are 67 such pesticides still used by Indian farmers. The sad part is that every day these pesticides and toxins are entering into our body through the fruits and vegetables we eat. In fact, unwillingly we consume 400-800 % more pesticides than the permissible limit. Why Organic Farming is A Gift? Aamir Khan in his show ‘Satyamev Jayate’ rightly highlighted the evil effects of chemical farming. During the show, we have seen most of the farmers confessing that they do not use pesticides for the fruits and vegetables they grow for their own consumption! That’s precisely why we said organic farming is man’s gift to the world. Without using chemicals that harm our soil, air and water, organic framing offers better pest control and yields. Organic agriculture promotes more balanced communities of predators which means beneficial insects are being used to kill the pests that ruin the produce. To control weeds organic farmers won’t make use of harmful chemical weedicides. They use Mulching Sheets. 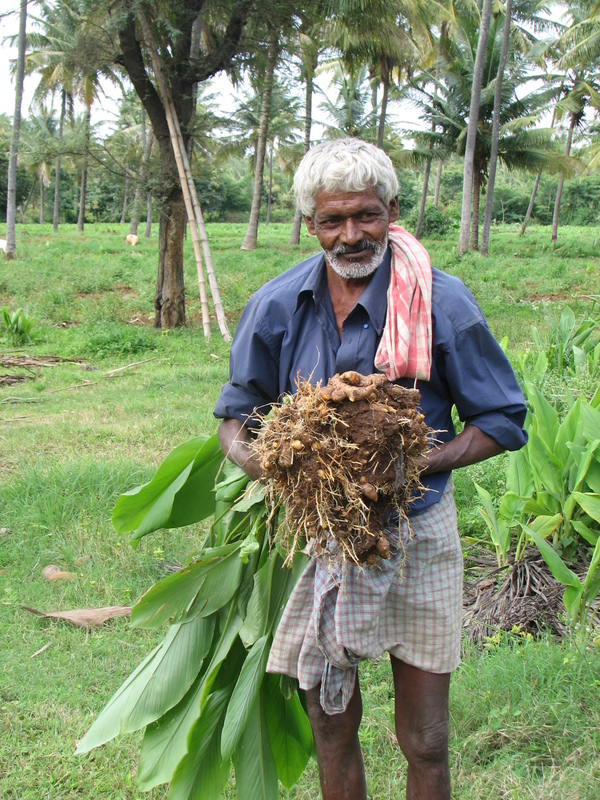 By this method, one can control weeds in between crops in a natural way. Thus by using natural friendly ways of framing organic agriculture advocates sustainability and harmony between man and nature. It promotes a healthy world and a healthier us. When you are choosing organic food or organic mode of cultivation, you are not only saving yourself and your family from consuming pesticides, but also doing your bit to save our environment and nature. Keep an eye out for our next post in which we are discussing the benefits of organic farming. What are the Health Benefits of Organic Milk?